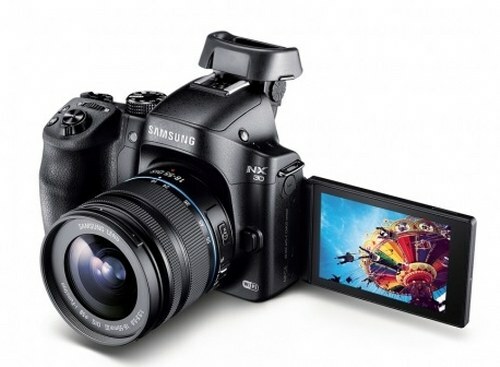 Samsung has introduced its latest »Tag&Go« NCF Photo sharing cameras, the NX30 and Galaxy Camera 2. With these two camers, you can send your picture directly to your smartphone. Samsung Camera 2 features 16Mpix sensor, 21x Zoom, 4.8-inch LCS, 2,000mAh battery, 1.6GHz Quad Core CPU, 2GB RAM, Android 4.3 and separate AF & Autoexposure. NX30 is packed with 20.3Mpix sensor, improved fast hybrid AF, 16-50mm lens kit and Super AMOLED Touchscreen.